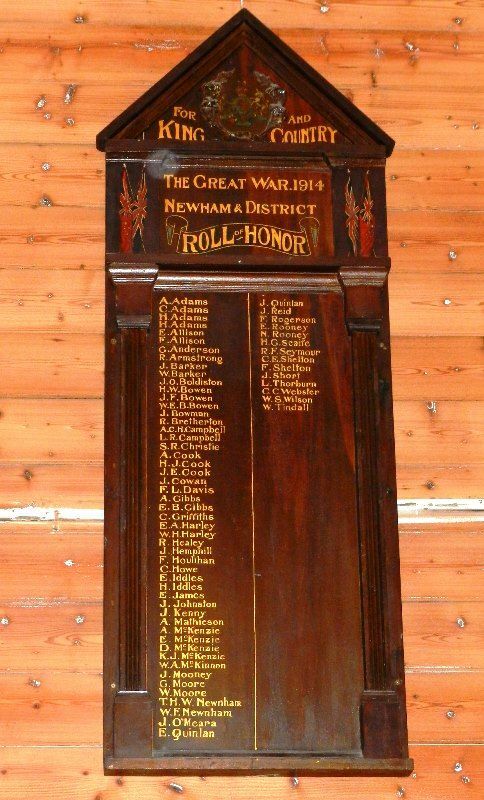 A particularly pleasing ceremony took place in the Mechanics' Hall at Newham on Thursday night of last week, when an honour board for the district was unveiled by Colonel-Chaplain Nye, in the presence of a large assemblage of residents. 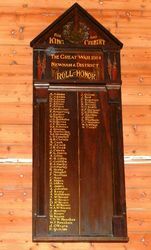 The board, which was made by Mr. S. Harris, of Woodend, and is of some what similar design to the shire honour board at the Mechanics' Institute, evidencing careful and artistic workmanship, contains a list of names of volunteers that may be considered to reflect very much credit indeed on the Newham district. 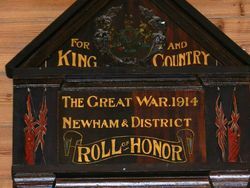 Excerpt from Woodend Star (Vic), 29 June 1918.